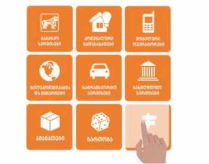 Georgian SIM-card can be purchased at the offices of the local mobile operators as well as in local supermarkets. The SIM cards cost from 1 to 2 GEL. You will need to show your passport. Calling from mobile to a fixed line phone, dial 0 then the city code then the 6 last digits. Calling to other mobiles, dial the last 9 digits of the number. If that doesn’t work, just dial the full number starting +995. Calling from one mobile to another costs 0.20 GEL (20 tetri) per minute. There is a free public Wi-Fi available in the territory of Batumi Boulevard. Also most of the cafe/restaurants/bars have free WiFi. There are also a number of internet cafes around Batumi. Georgia supplies its residents and visitors alike with electrical current of 220 volts AC, 50 Hz. AI sockets require two round pins. The Georgian national currency is the Lari (GEL) divided into 100 tetri. All payments on the territory of Georgia are carried out in GEL. Cash is the most frequently used method of payment in Georgia (especially in the regions and villages). You can also exchange currency at banks and currency exchange points. There are few clinics in Adjara that cooperate with foreign insurance companies. Therefore, foreign visitors in most cases will have to pay for services on the site and prepare a document for their insurance agencies. The following tourist sites in Adjara are equipped with the facilities for disabled. Hotels: Hilton (3 rooms), Sheraton (2 rooms), Radisson (2 rooms), Euphoria (8 rooms), Intourist Palace (2 rooms), Wyndham Batumi (1 room), Georgia Palace (6 rooms, Kobuleti), Black Sea Hostel (1 room for 3 persons). Sidewalk cafes and restaurants that have an outdoor area. ‘’Divan Suites Batumi’’ offers the restaurant and toilet adapted for disabled people located on the ground floor of the hotel. Dolphinarium, Botanical Garden, Batumi Boulevard, Old Batumi and port area. Transportation: Gray buses have lifts or ramps for wheelchairs. Parking in Batumi is on a free paid basis. You can pay Parking fee at any bank, online, by Pay Boxes, at parking meters. For payment you must specify vehicle’s number and serial number. The fine can be paid in any bank. If you lost a receipt, the copy can be obtained in the transport agency. Fine shall be paid within 30 days after notification. Foreigners will need a valid passport to make payment. Batumi International Airport is located 7 km from the center of Batumi on the road from Batumi to the Turkish border. 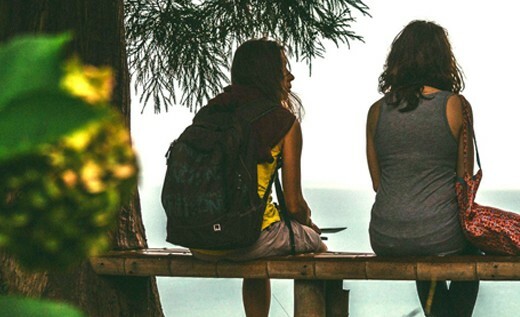 There is a tourism information center on the territory of the airport, where you can get free brochures, maps and information to help you make the most of your trip to Adjara. There are also several ATMs, currency exchange, a gift shop, a bistro, VIP and CIP zones. 1. By public transport. Take the bus #10. On Batumi public buses you need to purchase two tickets, printed on one piece of paper. Tickets cost 0.80 GEL. You can buy tickets from the driver. As soon as you get the ticket validate it by running it through the ticket validation machine on the bus. 2. By Taxi. Most taxi cars are private and don’t carry meters with fixed rates. Agree the price before you get in. A taxi from the airport to the city center will cost about 10-15 GEL. 3. A taxi from Batumi airport to Kobuleti (25 km from Batumi) will cost about 40 GEL. You may also order a taxi (with taxi-meter) by contacting one of the local taxi companies. New railway station is 4 km from the center of Batumi, in the village of ‘’Tamaris Dasakhleba’’ (Benze), near the Batumi State Musical Center. There are ATMs, currency exchange and bank branches on the territory of the railway station. 2. By Taxi. Most taxi cars are private and don’t carry meters with fixed rates. Agree the price before you get in. A taxi from the railway station to the city center will cost about 7-9 GEL. 3. You may also order a taxi (with taxi-meter) by contacting one of the local taxi companies. Batumi Sea Port is located in the center. 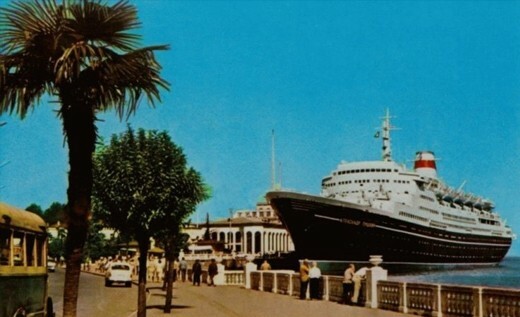 There are several regular passenger lines that connect Batumi with Illichivsk port in Ukraine and Sochi in Russia. Batumi Express: connect Batumi and Sochi. Run two times a week. Ticket price is about 250 GEL. Approximate duration of the trip is about 6 hours. UKRFERRY: passenger and transport ferries run between Illichevs’k and Batumi. Approximate duration of the trip is about 2 days. Ticket price is about 400 GEL. There are two bus stations in Batumi, local in the city center. There are about 200 bus services daily to various parts of Georgia, Adjara and the neighboring countries. The main types of public transport: buses, minibuses, taxis. A. 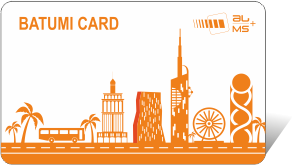 Standard Card - BATUMI CARD – Available for international travelers as well. It can be purchased in the service center of “Metro Service +” located at #55 Gorgasali Str. Batumi. It is also available at the Express Pay machines (the ones who have the function of issuing the transport card) of the Bank of Georgia. In the menu of the Express Pay machine one must find the option “Order the Transport card” and follow the instructions. 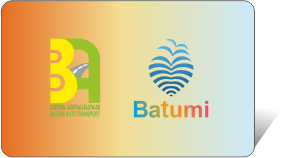 The price of transportation with BATUMI CARD is 0.30 GEL. B. Discount Card – for Georgian residents only. The discount card can be used by the pensioners, teachers, internally displaced persons (migrants) and travel for 0.15 GEL. As for the elderly beneficiaries of the social center, veterans and equal persons, persons with disabilities and beneficiaries with 0-70000 points – they can travel for free with this card. C. STUDENT CARD - for Georgian residents only. It can be purchased in the service centers of EXPRESS BANK and the price of transportation is 0.15 GEL. D. School card - SCOOL CARD - for Georgian residents only. It can be purchased in the branches of the BANK OF GEORGIA and the owners travel for free. Travelling by the public transport is also possible by the contactless cards of the BANK OF GEORGIA: EXPRESS BANK, SOLO, VISA ELECTRON and etc. Also all the transport cards of Tbilisi: METROMONEY, Discount, Student and School cards of Tbilisi City Hall. One can fill up the balance of the transport cards for free at the EXPRESS PAY machines of the BANK of GEORGIA by following the instruction in the menu. Minibuses (marshrutkas): The fare for a ride within city is usually 0.50GEL, payable to the driver when you get off. The fare for a ride outside Batumi ranges from 1 to 8 GEL. Taxi: Some taxis carry meters with fixed rates (1 km is about 0.50-0.60 GEL), but not all. There are also private taxis in the city that don’t use taximeter. Agree the price before you get in. Car rent: The average rate for a one-day rental starts from 120-150 GEL per day. For more detailed information, please contact Batumi Tourist Information Centers. To get a BatumVelo card visit the Tourist information center at the main entrance to the Boulevard, near the fountains. You should have an identity card or passport. To replenish the balance on your card please visit the Tourist Information Centre where you purchased the package.